 In 1892, an over didn't have 6 balls. 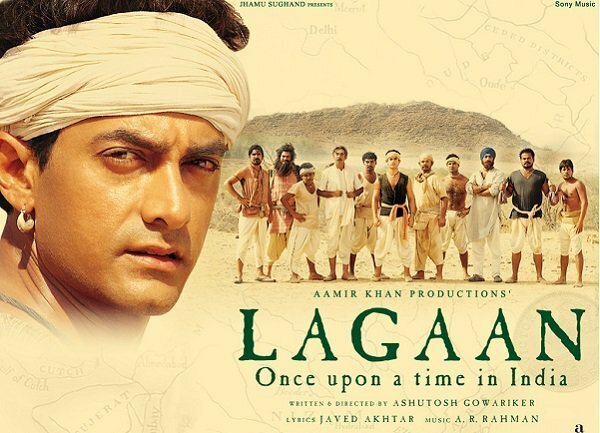 But in Lagaan they did. In Krrish, Preity Zinta is pregnant for 2 years ? Rohit has been in Singapore for the past 2 years. His wife who has been in India all this while gets pregnant. How did that happen ? In Bhaag Milkha Bhaag, they are singing " Nanha Munna Rahi Hoon" before it was released. Though the movie is set in the 1950's, Farhan Akhtar sings the song "nanha munna rahi hoon" in the film. The song is from the movie 'Son of India' which was released in 1962. There is no Pakistani Embassy in Bruges. PK hai kya ? Sarfaraz tells Jaggu that he works in the Pakistani embassy in Bruges. But there's no Pakistani embassy in Bruges. It's in Brussels. Maybe that's why Tapasvi Maharaj had asked Jaggu not to trust him. Also, Sanjay Dutt comes to Delhi via train number 12290. That's the " Duronto Express " that runs between Mumbai and Nagpur. Moreover, Kalyan is clearly written on the train. Okay, so Shahrukh Khan plays a South Indian Hindu in the film. And yet, he's given a Christian funeral. ... and in the next scene, his wife does this! That's right. She immerses his ashes into the river. Dafuq ? In Chennai Express, SRK's Dadaji died more than once ? In the movie, Rahul's (SRK) grandfather dies. He's then shown taking his 'dadaji's asthiyaan'. But then later, his grandmother hands him hisdadaji ki asthiyaan. Again. In Gunda, Mithun dodges bullets behind a bicycle. In Pyaar Ka Punchnama, did the bike magically evolve into a Jeep ? In the opening scene, the 3 friends arrive at thedhabaon a motorcycle. And leave in a jeep. Hide it. Its already shared. Funny Faces of Bollywood Celebs..Collection..! !